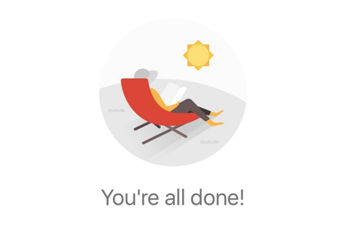 There is nothing more satisfying than seeing those three little words: “No new mail!” My Gmail app announces, “You’re all done!”, and I especially love the accompanying image because, yes, I do want to be sitting in the sun reading a book right now. The elusive Inbox Zero is indeed attainable, but I have a little help. I use Unroll.Me, Boomerang, and Gmail filters to help me manage my inbox so that I can spend more time doing what I love (i.e., translating, reading, sleeping) and less time stressing out about all the emails filling up my inbox. Subscription emails were cluttering my inbox. Even the ones I could have sworn I had unsubscribed from several times kept arriving and choking out the important emails. Unroll.me offers a free product to clean up your inbox. You can sign up by signing in with your email provider in your browser. Once you sign in, you do have to give the app access to your email account, allowing it to view, manage, and delete your mail. It then looks through your email for subscriptions. For each subscription, you can decide if you want to “Keep in Inbox,” “Unsubscribe,” or “Add to Rollup.” You can also have Unroll.Me notify you when it detects new subscriptions, so you can log in and decide what action to use. The Rollup is a digest email that compiles all the subscriptions you want to keep. 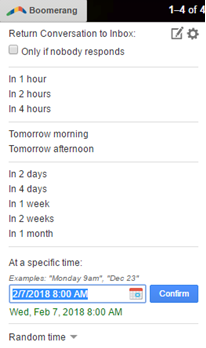 You can also decide what time of day you want to receive the Rollup email. I choose the morning because I would rather skim it while I am drinking coffee than have to deal with another email popping into my inbox when I’m trying to shut down for the day. Currently, I have six subscriptions that I keep in my inbox and 29 that appear in a Rollup. I also make sure my Rollup emails are labeled when they come into my inbox so I can archive them for future reference (more on that below). This app is a great organizational tool, and it makes Inbox Zero much more attainable. Boomerang helps you keep your inbox clear while tracking important emails and making sure you do not forget about them. I often find it difficult to get to Inbox Zero because there are still items that I need to check off the to-do list. Simply archiving them in a specific folder may not suffice since I would be running the risk of forgetting about them. Boomerang allows you to remove the emails from your inbox and schedule them to return whenever you choose: in an hour, tomorrow, or next week. There are some additional features of Boomerang that I also find helpful, like Inbox Pause, Read Receipts, and Send Later, but Email Reminders is the feature I use most often for Inbox Zero. 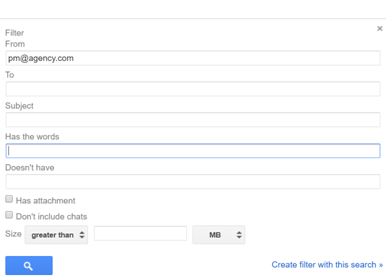 For those of you who use Gmail, creating filter rules can also help you manage your inbox. This required some time to organize initially, but now my system runs smoothly. First of all, I created labels for each of the clients or agencies I work with. I also have one folder for each organization or group I am involved in, one for taxes, one for bank statements, etc. You can even get fancy and have labels within labels. For some clients, I have separate sublabels for POs and portal notifications. 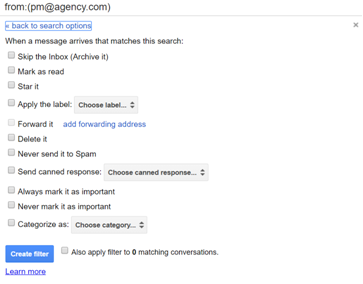 Once you have your label system set up, you can use the filter rules to tell Gmail how to categorize emails when they enter your inbox. For example, if Client A emails me, the message in my inbox will already have the label assigned to that client, so once I respond, I can simply click “Archive,” and the email goes directly to that label and out of my inbox. I can also set certain emails to come into my inbox as “Marked as Read.” This is especially helpful for those automated notifications I receive to let me know that I accepted or delivered a project in a client portal. I create filters based on the email addresses of the project managers, but for some companies who have multiple PMs, I include the company name in the “Has the words” field. Then you can check the appropriate box to decide what happens to that email. If you choose to apply a particular label to that project manager, every time the PM emails you, the message will arrive in your inbox with that label. After you have dealt with the email, click “Archive,” and boom… Inbox Zero! But, look, I know: Inbox Zero is not all about just dragging and dropping emails into folders and hitting “Archive.” One of the reasons we find the goal so hard to attain is that our list of tasks to accomplish is always growing, and archiving an email does not mean the task is complete. These tools will not give you more hours in the day to work, and they will not clear your inbox for you, but they can help you manage the clutter and approach the inbox in a systematic way, without all the stress. I just hope that some Friday afternoon you get to see “You’re all done!” and then go outside and read in the sun. 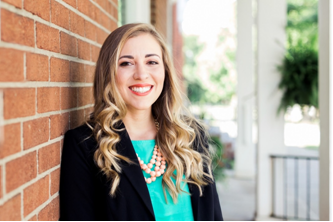 Victoria Chavez-Kruse is currently a freelance translator specializing in the life science, medical, and legal fields. She received the M.A. in Spanish Translation in 2013 from Kent State University’s Institute of Applied Linguistics. 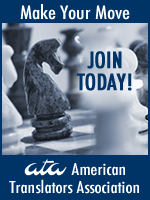 She is a member of the American Translators Association and the Northeast Ohio Translators Association. In 2016 she helped launch the Black Squirrel Translator Collective along with three other Kent State University alumni; the collective functions as a small agency for Spanish-into-English projects, and the four translators manage translation, editing, proofreading, and machine translation post-editing projects. You can follow her on Twitter or visit her website for more information. Thank you! I just started with both Boomerang and Unroll.me. Unroll.me was working well. Once I started Boomerang, I am receiving individual subscription emails labeled as unroll.me rather than receiving them as a roll-up. Did this happen to you? Thanks for your comment! I don’t think I’ve experienced this. Sometimes I get individual subscription emails that have not yet been included in my roll-up, and Unroll.me identifies those and suggests that I add them to the roll-up or unsubscribe. If this isn’t what is happening to you and you’re referring to more of an IT issue, maybe the Unroll.me developers can help you out.